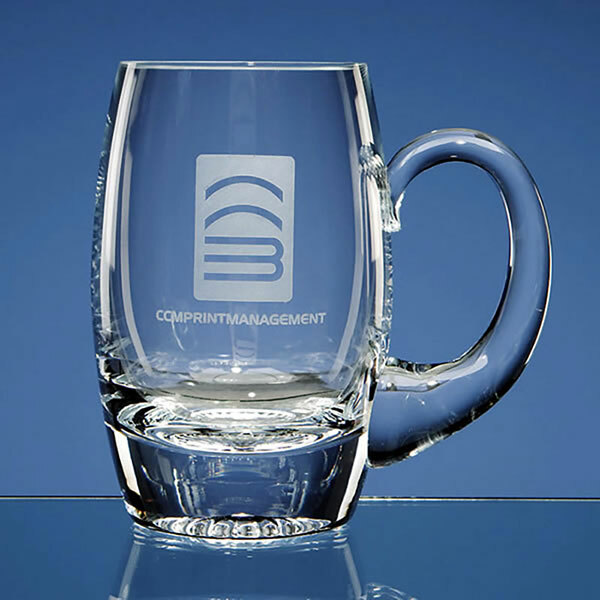 Crystal Tankards - quality crystal tankard in barrel shape design with plain (undecorated) body, ideal for customising. Offered with laser etched engraving and/or colour print options, and perfect as personalised gifts or recognition awards. Make a big impression! These distinctive barrel shape tankards feature a plain (undecorated) body that is perfect for engraving. 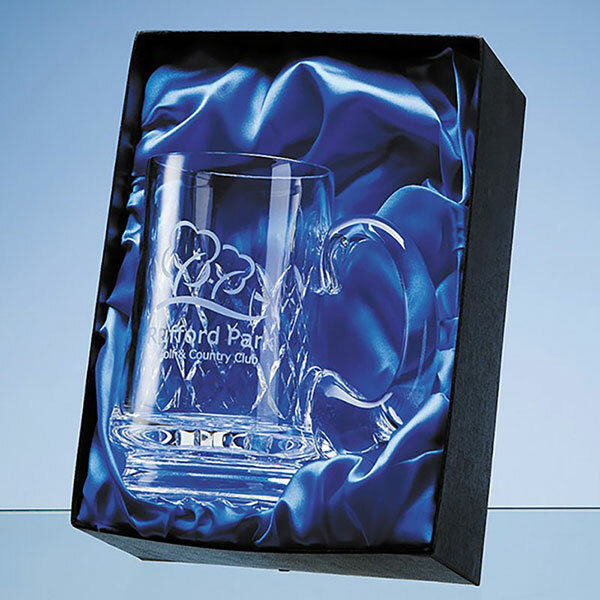 Ideal as presentation items for a wide range of occasions - from personalised gifts to 21st and 40th birthday presents to corporate gifts and awards - these crystal tankards are offered with low, fixed-cost text engraving and free logo engraving. The capacity of these beer glass tankards is 0.425 litres. An optional lined presentation box is available for these tankards. Capacity: 0.425ltr (3/4 pint). Weight: 0.66kg. Height: 135mm. Diameter: 80mm.